I'm not sure if I understand correctly your question, but I would presume that you want to combine the contents of 2 or more fields in another one. Is that correct? If so, you should be able to use a calculation widget for this purpose. 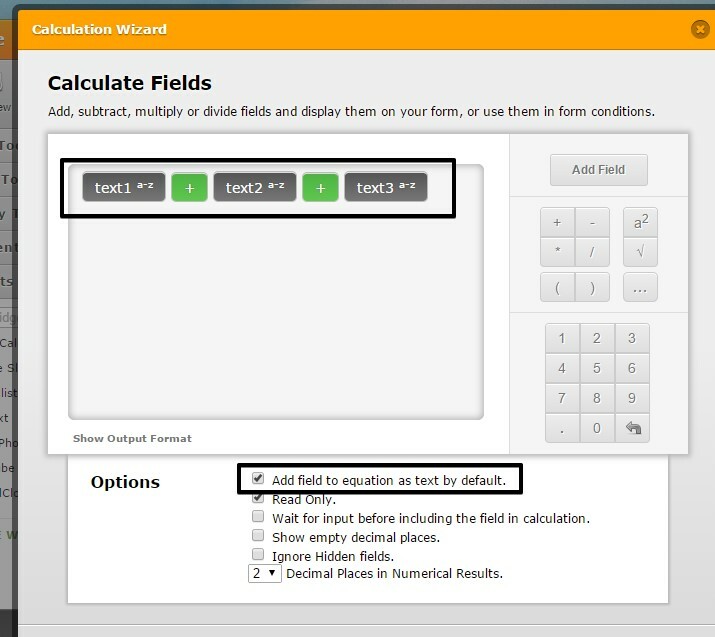 Only make sure that you have enabled the "Add field to equation as text by default" option before adding the fields you want to merge. Please take a look at this demo form: http://form.jotformpro.com/form/50464111680952 feel free to clone it to your account if you want to.